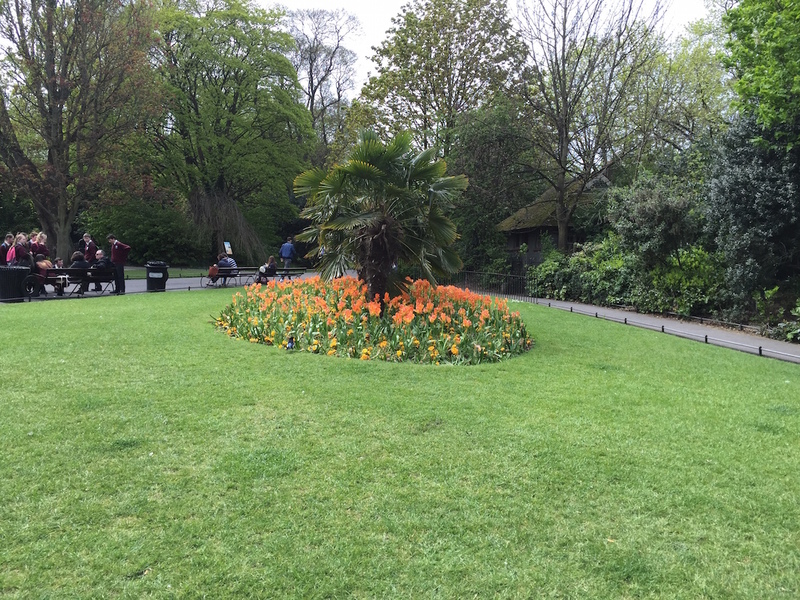 St. Stephen's Green, across the street from the Fitzwilliam Hotel; kids can run around here. A quick trip to Dublin requires a bit of cosseting. 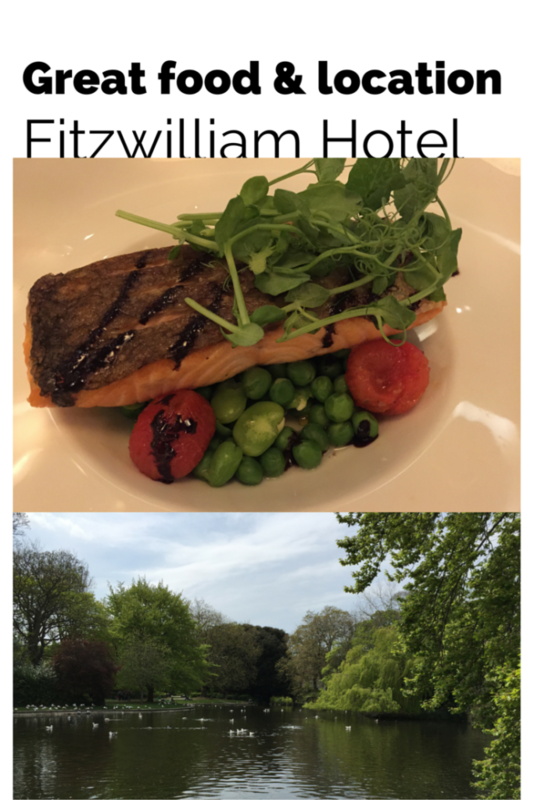 We found luxury and respite at the centrally located Fitzwilliam Hotel, the perfect home base for our first foray into Ireland. When I take an overnight flight, I often feel completely out of sorts, so a friendly greeting at a hotel in a foreign city is most welcome. 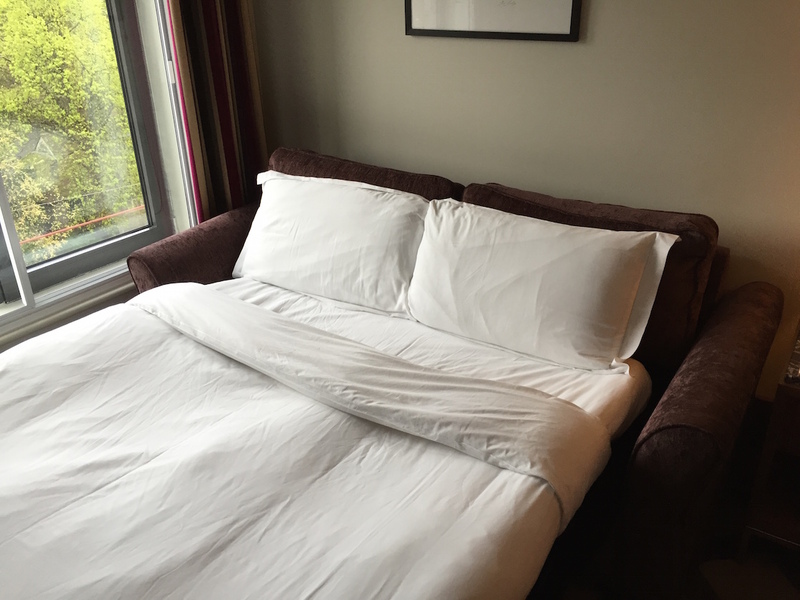 At the Fitzwilliam Hotel, in Dublin, Ireland, everyone was so friendly that we were immediately at ease. We arrived in the early morning, not expecting our room to be ready and it wasn’t – for about the length of time it took to write this sentence. But meanwhile, the employee at the desk had offered to bring us coffee, or whatever else we wanted to drink, and guided us to a seat in the well-appointed lobby. By this time, our room was ready and the check in person escorted us to it, a large, sunny corner room. Then he sent up a pot of coffee. It turns out, this hospitality pervades Ireland, where every restaurant worker or bartender, bus driver or museum ticket collector, is happy to chat and offer a suggestion. Even the passport control officer at the airport when we left after just four nights was the friendliest we’ve ever encountered. 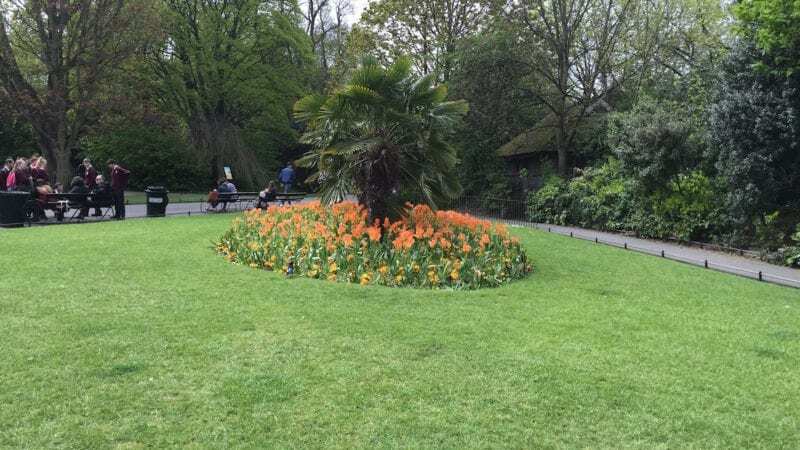 The luxury Fitzwilliam Hotel is centrally located in this compact city, right on a small park, St. Stephen’s Green, and within walking distance of numerous pubs, museums and transportation options to take your farther afield. Our room for three featured a king sized bed and pull out couch. Windows were double framed, allowing us the enjoy the trees and light from St. Stephen’s Green, but in absolute quiet. Since sleeping is often an issue when you take a short trip across the Atlantic, this was wonderful and welcome. The bathroom had both a tub and glass-enclosed shower, with excellent water pressure, and paragon and cruelty free products by Murdock. I was enchanted by the little packet of cotton buds (Q-tips in prosaic American terms). There is a coffee maker in every room, along with a mini bar that includes free still and sparkling water and space for a couple of your own snacks or drinks. The nightly turndown service includes a small box of chocolates. 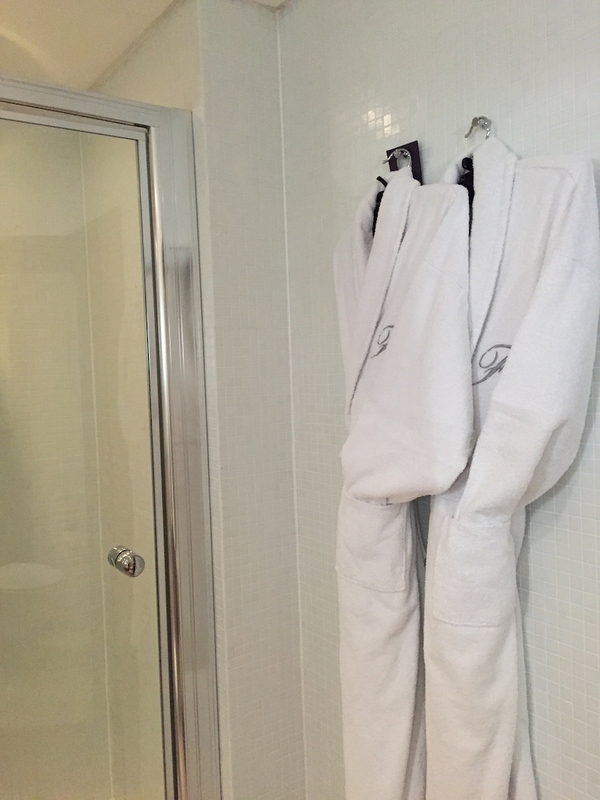 The room had plenty of fluffy towels and robes and slippers. I was a little disappointed by the lack of attention to conservation. Although we dutifully hung up our towels, as instructed by a card, they were changed twice daily. And we used the master switch to turn off all the lights when we left too, but every time we returned, every light in the room was blazing. 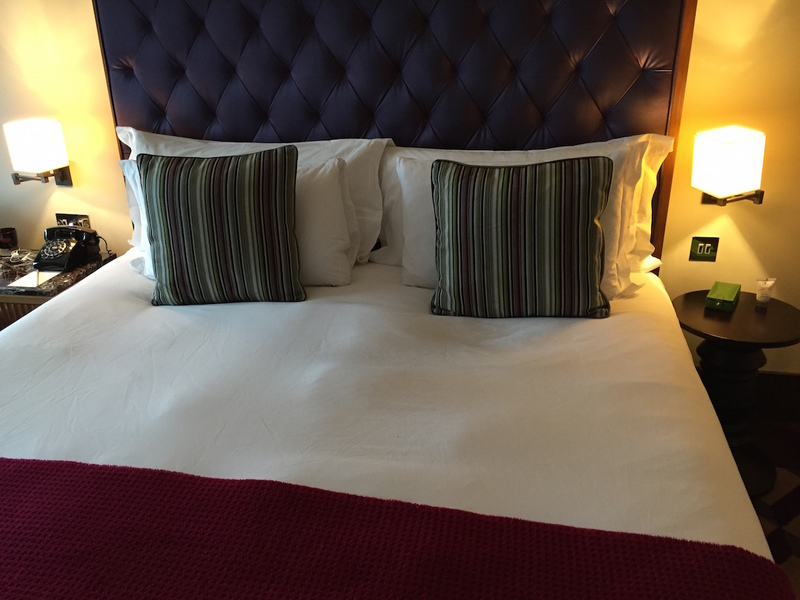 But that reminds me – there are good reading lights on each side of the bed, and another master switch bedside lets you turn off all the lights from bed, so you don’t have that sad shuffle to find a light switch when you are jet lagged. The hotel has a nail and hair salon, a comfortable lobby with a gas fireplace and concierge who dispenses umbrellas along with great advice. WiFi is free and fast. 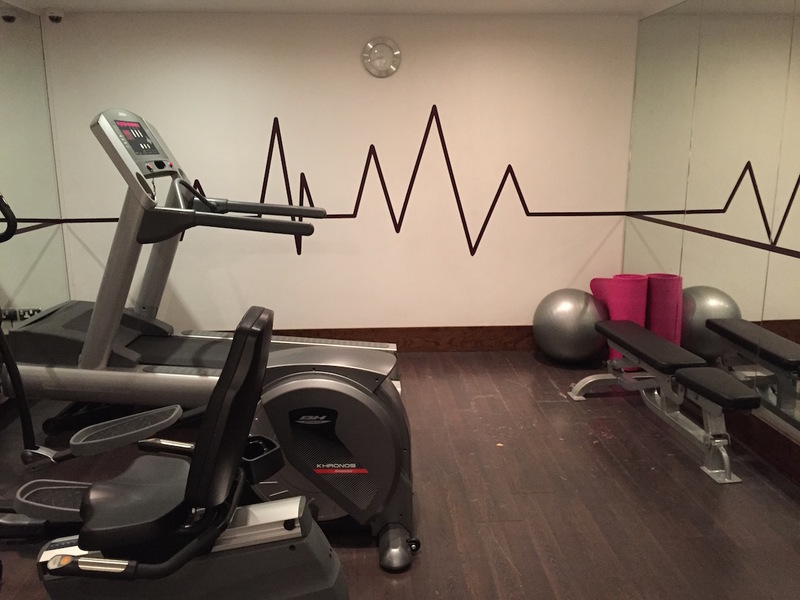 The tiny gym is just a small room with one treadmill, one stationary bike and one elliptical trainer. There is a mat, a stability and a bunch of free weights, many of which, frustratingly, did not have a mate. The hotel’s breakfast, included in our rate (or 22 E) had a vast array of fruit, yogurt, cold cereals, smoothies and juices. There was freshly squeezed orange along with carrot juice and beetroot (they make a great combo). There are a variety of breads, including a hearty brown bread, (multigrain) Irish soda and French bread, and several cheeses and sliced meats. Then there are delicious scones, muffins and croissants. 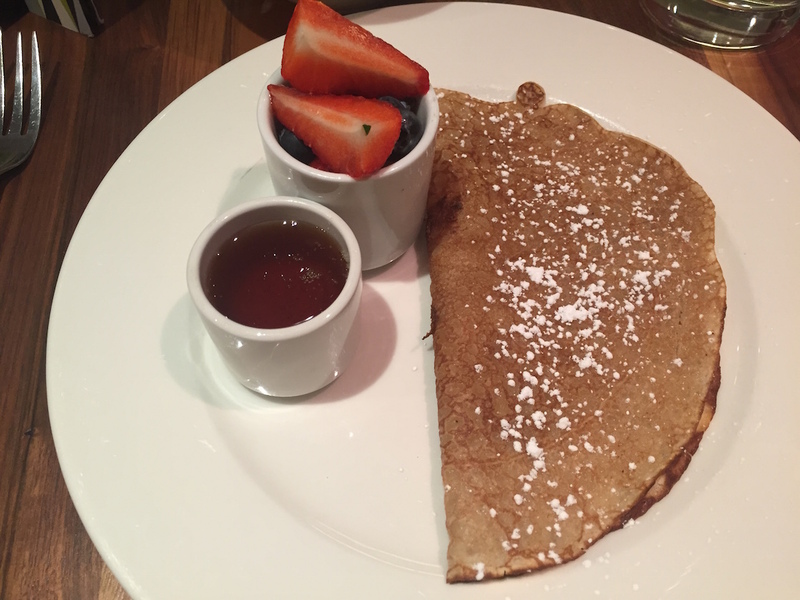 You can also order anything off the hot menu: pancakes (really crepes) with fresh berries or ample syrup, omelets, a full Irish with meat, potatoes and mushrooms and specialties like poached eggs with Hollandaise on brioche with either local smoked salmon or spinach. 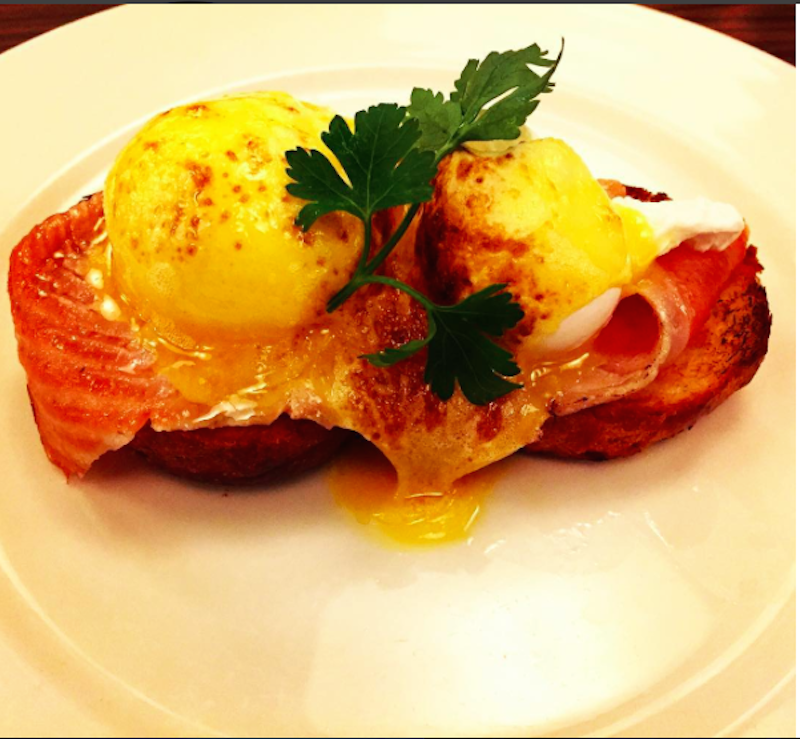 If you’re an egg person, Irish eggs are a revelation and the poached are a particularly good way to enjoy the bright yellow yolks of the freshest eggs. There is also thick, warming porridge, served with berries and honey. We needed this; the famed Irish weather didn’t disappoint, with cold, rainy periods every day, even when we had a few hours of sunshine. The mornings were particularly chilly and wet. The regular coffee was great the first day, only so-so the second, so we stuck to espresso and cappuccino. My world traveler daughter showed us how you test the proper cappuccino foam; it has to keep a sugar cube aloft. This foam could have held the whole sugar bowl up. We were quickly addicted. At the end of breakfast, the exceptionally friendly staff offered us a box to take a couple of pastries to go. We had dinner at Citron, the Fitzwilliam’s seafood restaurant. There was a delicious salad loaded with beets and cheese, a vegetarian asparagus appetizer and a veggie-heavy pasta dish, along with plenty of fresh local seafood. Note: I received a media rate. Opinions expressed are my own.